Take early learning of Spanish seriously by making it real fun for the kids with our super educational 4 toys bundle! Child's brain works as a sponge that can absorb really a lot of information. Expose your child to a foreign language early. Early introduction of another language (as early as 3 years) shows easier results and better fluency than if the kids learn later in school or in life. 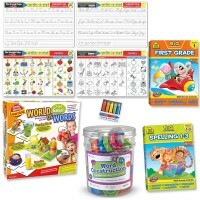 Educational Toys Planet's team of experts put together an excellent starter set to teach kids Spanish. 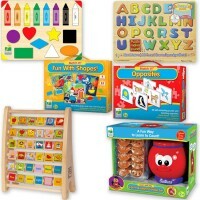 Spanish Letters, Numbers, Colors, Shapes, First Words Learning Toys Kit for 3-5 Years includes 4 colorful quality toys from the well-recognized toy makers. 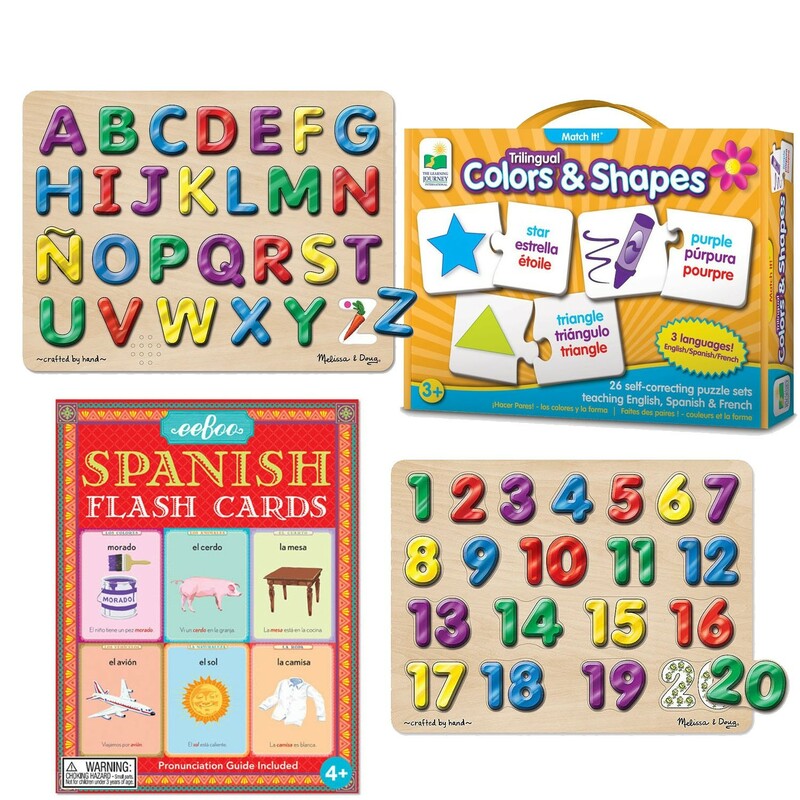 Children can be introduced to letters, numbers, shapes, colors and simple words in Spanish as they play with these engaging language development toys. 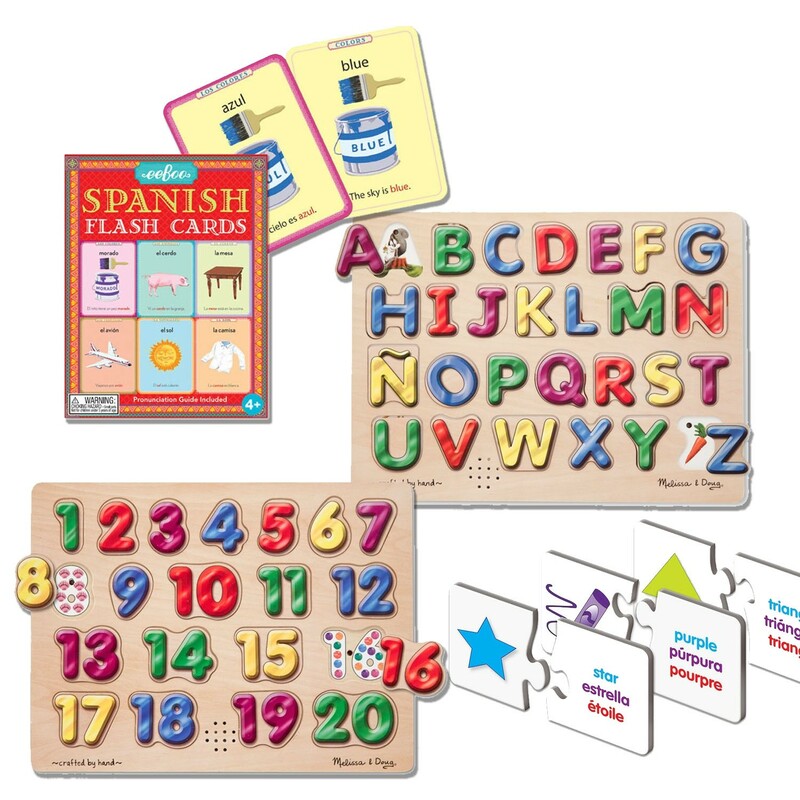 The Spanish learning bundle features 2 Melissa & Doug's Spanish Alphabet and Spanish Numbers Sound Puzzles, The Learning Journey's Match It! 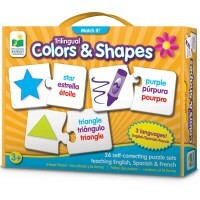 series Colors & Shapes and First Words Trilingual English Spanish French Puzzle Games, and eeBoo's Spanish Learning Flash Cards. 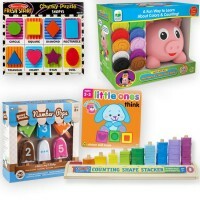 These five toys cover first topics in Spanish for preschool or kindergarten kids. 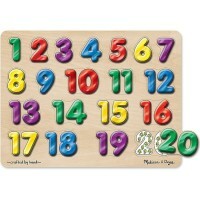 The wooden Spanish Alphabet is a sound puzzle that pronounces the letters of the alphabet, and the words in Spanish. 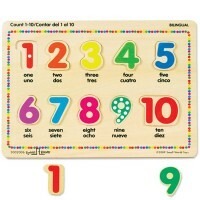 With the 20 pcs Spanish Numbers Sound Puzzle just place a number piece correctly to hear a clear, crisp voice pronounce each sound. 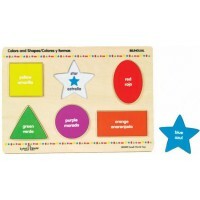 Each matching game by the Learning Journey, Colors and Shapes puzzle game and First Words set, includes 30 self-correcting puzzle pairs. 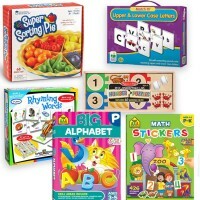 Each jigsaw puzzle set includes a card with an illustration of a color, basic shape, or familiar object or animal, and a tile with the corresponding word in 3 languages: English, French and Spanish. The artistically illustrated eeBoo 56 Spanish teaching flash cards present basic Spanish words about nature, animals, clothing, colors, things in the home, vehicles, and things at market. Each word is clearly illustrated and used in a sentence in English on one side of the flash card and Spanish on the backside. Spanish Letters, Numbers, Colors, Shapes, First Words Learning Toys Kit for 3-5 Years will benefit children who speak Spanish as their first language and kids who make first steps in Spanish. 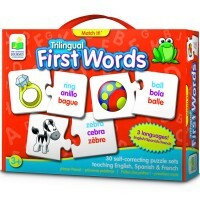 This Spanish teaching toy kit is a must-have collection for any preschool or kindergarten classroom. Take the language learning seriously - play with your kids to teach them Spanish! 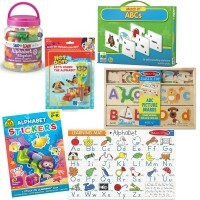 Dimensions of package 0.16" x 0.12" x 0.08"
Write your own review of Spanish Letters, Numbers, Colors, Shapes, First Words Learning Toys Kit for 3-5 Years.